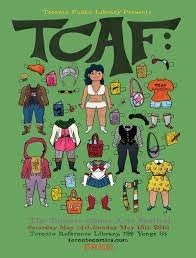 In this special presentation for the Toronto Comic Arts Festival, a selection of European cartoonists will discuss the national character of their comic and graphic novel work, their international influences, and what European and North American authors can learn from one another. Participating in this discussion will be France’s Balak & Bastien Vivès, creators of the bestselling LASTMAN graphic albums, Italy’s Manuele Fior, author of 5000km Per Second, Portugal’s Francisco Sousa Lobo, author of The Care of Birds, and Germany’s Barbara Yelin, author of Irmina. This discussion will be led and moderated by renowned comics’ journalist Mark Askwith, Producer for SPACE television. This discussion is presented by EUNIC Toronto, the European Union National Institutes for Culture, a network with representatives from the EU member-states that promotes diversity and dialogue through culture and art. This event will be conducted primarily in English.